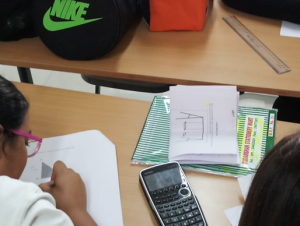 The Mathematical Challenges and Problem Solving Club (also known as “the Maths club”) is an afterschool activity led by DP2 students, which takes place almost every Friday. The club is meant for the younger MYP students. 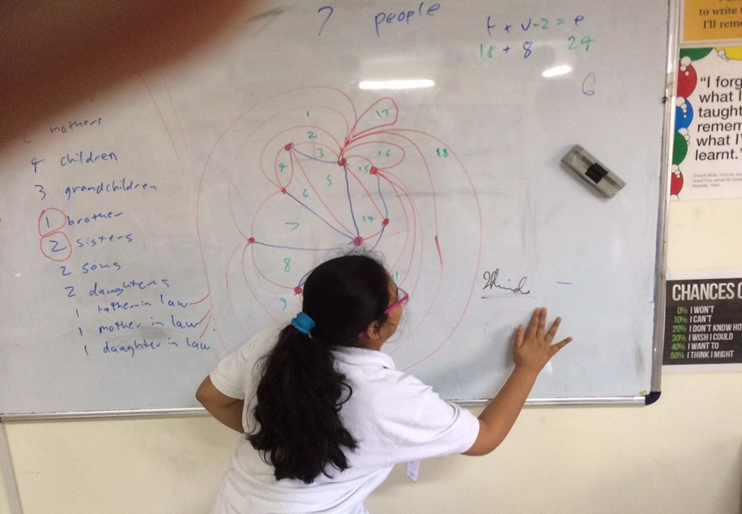 The covered topics revolve obviously around Maths, but the techniques to teach the students vary from riddles and puzzles to example graphs. 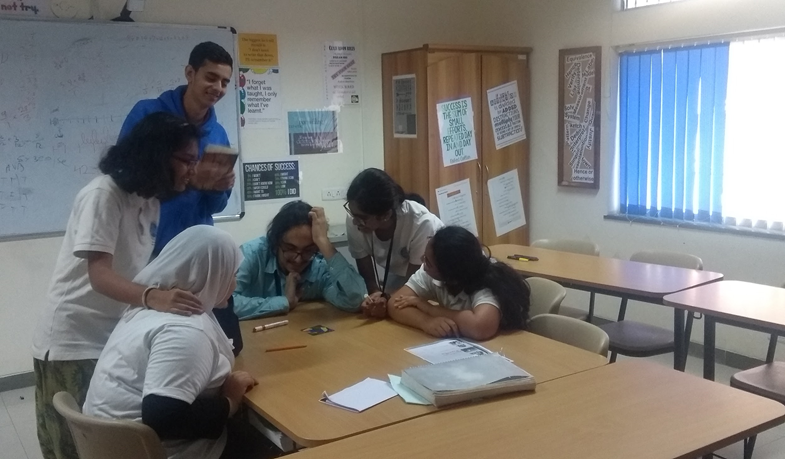 Perhaps the Maths taught in the Maths club is a little difficult for the MYP1-MYP3 students. However, we were convinced that for them it will be useful in later MYP years and possibly in DP. Therefore this will help the students in their future. For our CAS project we worked in a group of 3 DP2 students. We decided to teach Trigonometry, but only the basics as we feel that it is better to strengthen the basics. If their basics are strong then they can easily improve and build up their skill in math. We taught them about the sum of angles of a triangle, Pythagoras theorem, Pythagoras triplets, unit circle and the basics of sin, cos, and tan. We tried our level best to make the math lessons interesting and understandable by using visuals, diagrams, and physical props to play around with. For example, we taught them about the unit circle, a topic that they will have much later. However, it is very simple at first and that is only how far we went. We kept it to the very basics of finding angles on the unit circle and explaining them how it worked. Another example is how we explained Pythagoras’ theorem using a little story in which a Sam had to find how far his friend on a balcony was standing from him. He wanted to find this as he wanted to know if his friend could come or not to play but was unsure if his voice would reach him or not. Our students tried however they could not come up with a solution, then we told them about Pythagoras’ theorem. They then used this to solve several other similar examples like this. The diagram represents the mini story that we used. Our lessons also included miscellaneous Maths and logic puzzles in order to keep their minds focused and engaged in critical thinking. 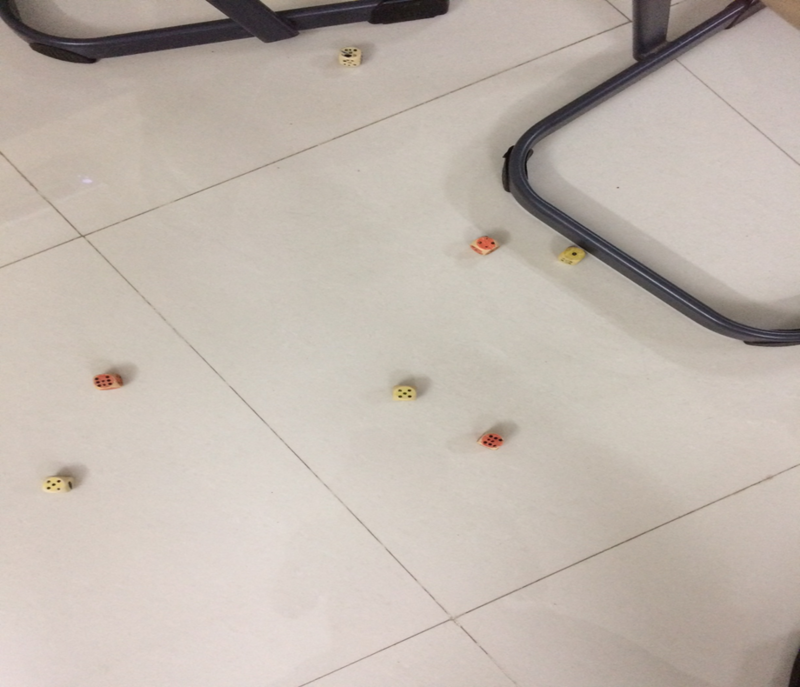 These ranged from investigating probability using non-transitive dice (pictured below right) to solving riddles. Professor Stewart’s Casebook of Mathematical Mysteries (link: https://amzn.to/2qyjFLy) was the source of most of these puzzles. At the end of our CAS project we gave each of our students a test and all of them passed with flying colours. We feel that teachers should try to take a somewhat similar approach to teaching “boring” subjects such as Maths. (https://bit.ly/1ifYuHl). His video focuses on science education, but we think we had success in making math more interesting for this club. 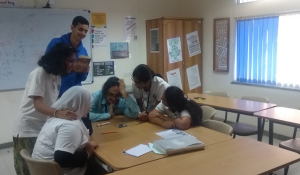 Demonstration of a DP CAS Project: A creative engagement of students in the IB Diploma Programme is the experiential Creativity, Activity, and/or Service learning project. This authentic project-based-learning experience is one that best shows the stages of investigation, collaboration, preparation, action and demonstration.